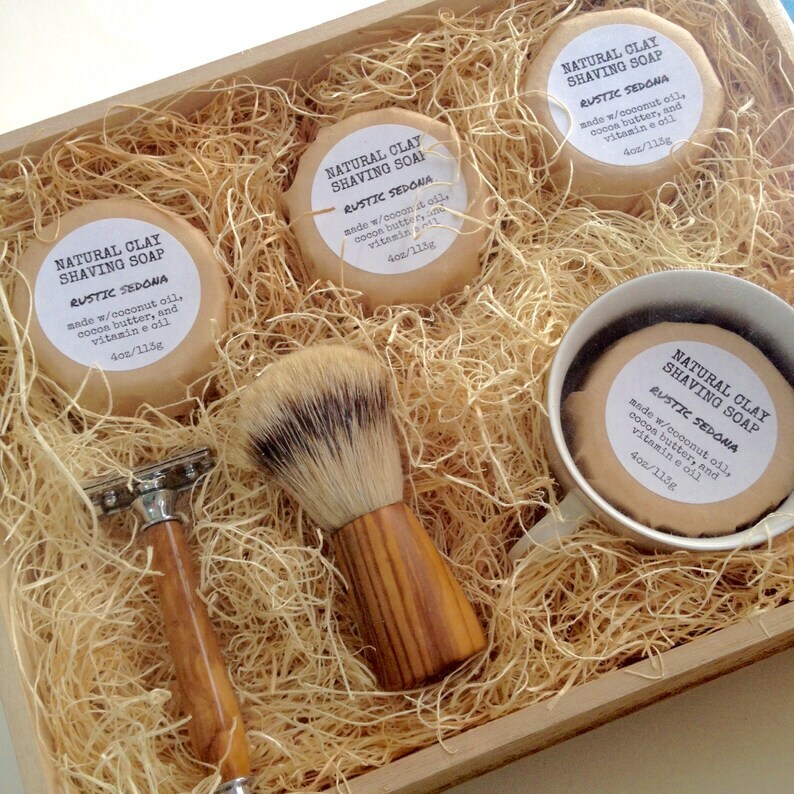 Our Deluxe Shaving Kits come with everything you could possibly need for a smooth shave. Each kit contains a handcrafted olive wood badger brush and double edge safety razor set, along with a shave mug, a box of razor refills and a one year supply (4) of our Natural Clay Shaving Soaps in either our Rustic Sedona or Black Tie fragrances. Each set is nestled in compostable wood shavings in it's very own wooden box with lid, ready to gift to yourself or someone you love.